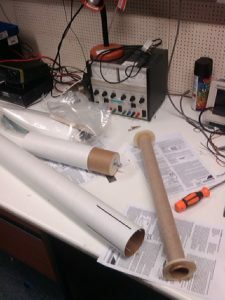 On Sunday we started putting together the first of the new kit rockets and now we’re waiting for epoxy to dry before we move on to the next stage. 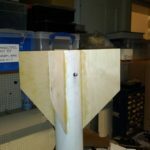 The CUSF team have been building a rig to test a rocket motor whilst it is firing. The rig is designed to mechanically separate the X-Y-Z components of thrust, using a series of spring steel flexures. The 3 axes of thrust are then measured by 5 separate load cells to get the axial thrust, off-axis thrust and off-axis moments from the rocket motor. 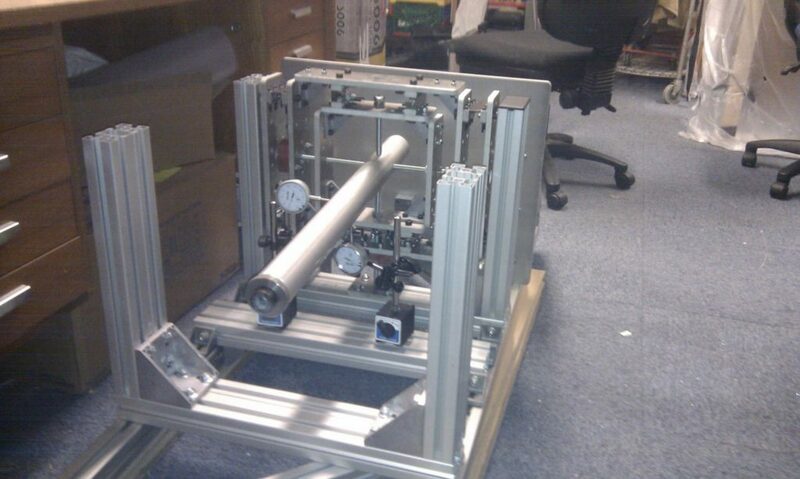 This week, one of the measurement arms has had the flexures assembled and load cells bolted on. 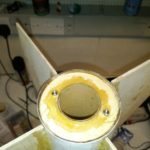 The main thrust bearing cage has also almost been finished.